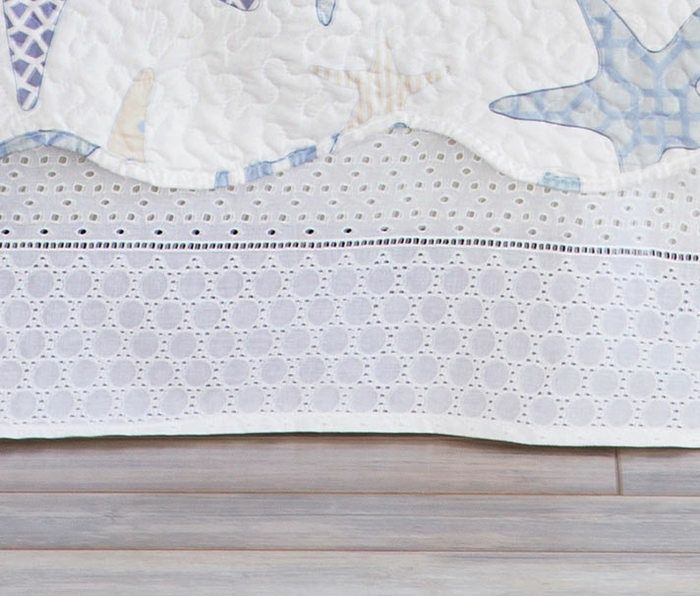 A Bella Coastal Decor Exclusive - Lovely cotton embroidered eyelet fabric in subtle stripeds of different eyelet patterns. Flat panels. Split corners. 78"W x 80"L x 15"H. Allow 1 to 2 weeks.